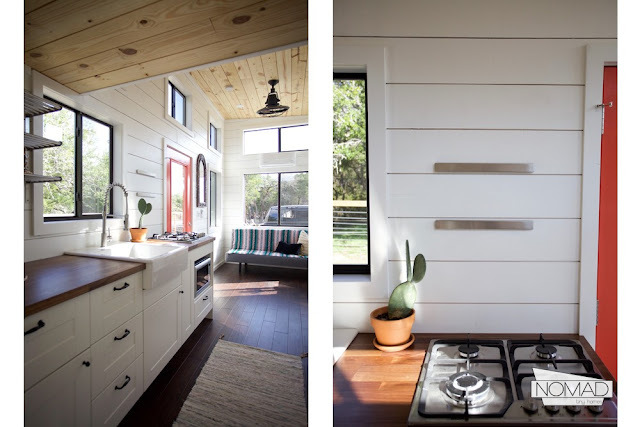 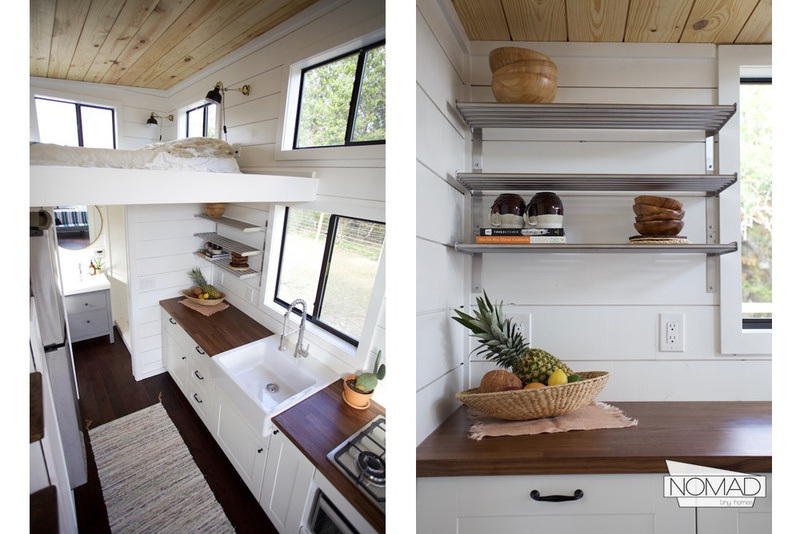 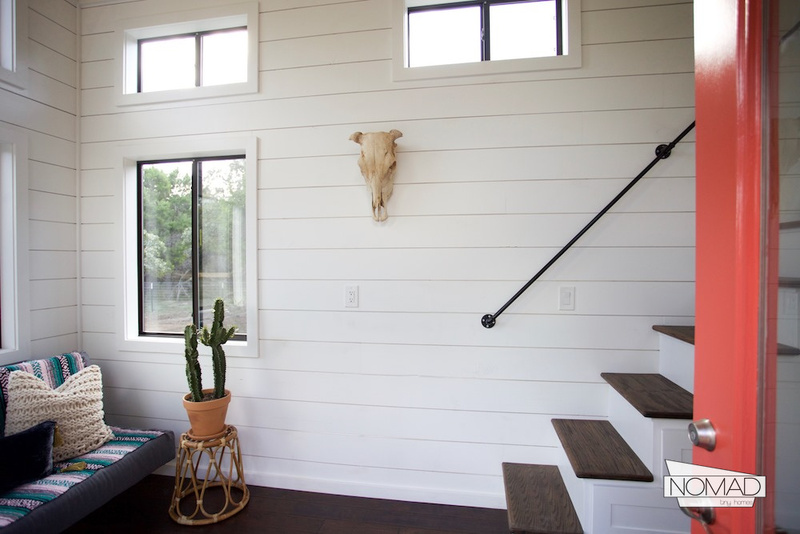 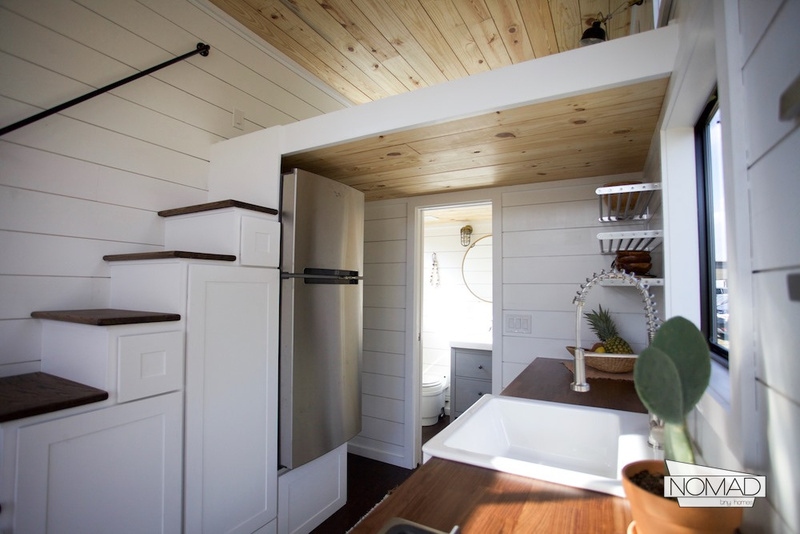 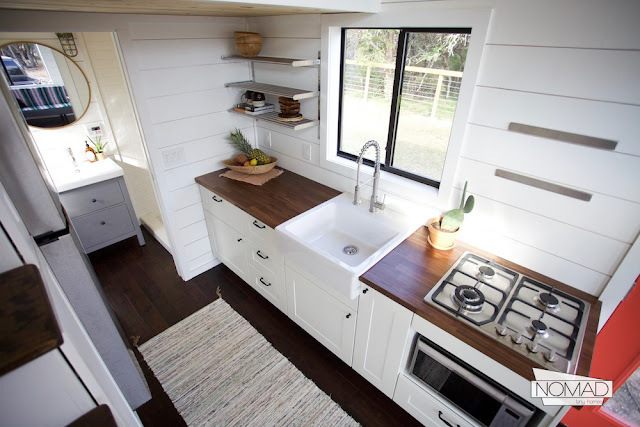 From Austin-based builder, Nomad Tiny Homes, is this cozy modern/rustic tiny house on wheels. 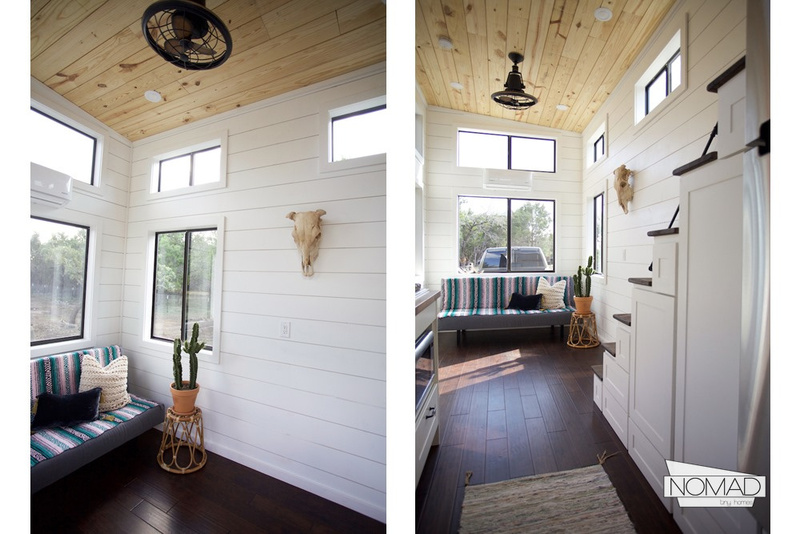 The home is a custom 24' Texas Hill Country getaway house, built onto a two 5200 lbs axle trailer. 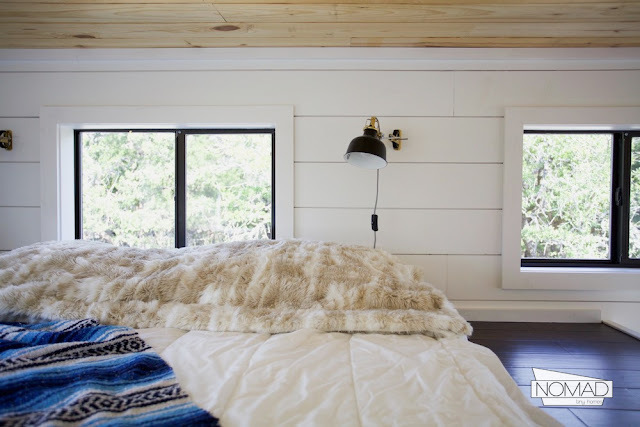 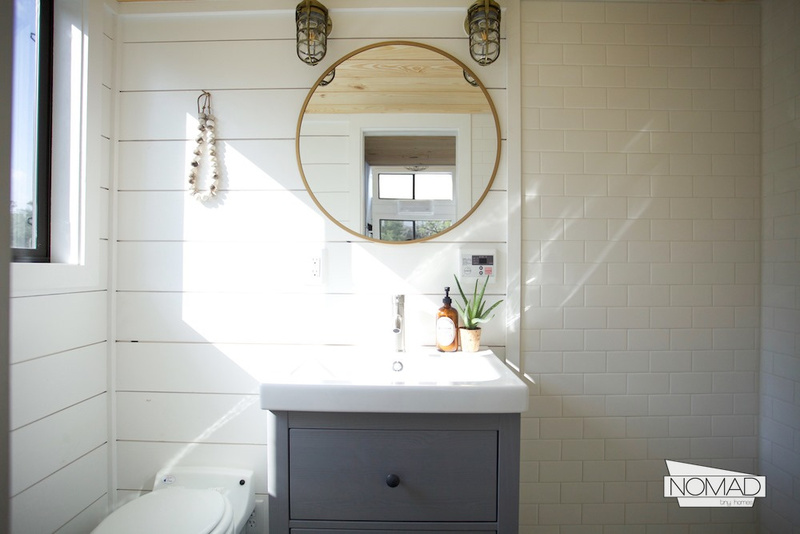 Its interior features bright, white shiplap walls with a contrasting hand scrapped chocolate birch floor. 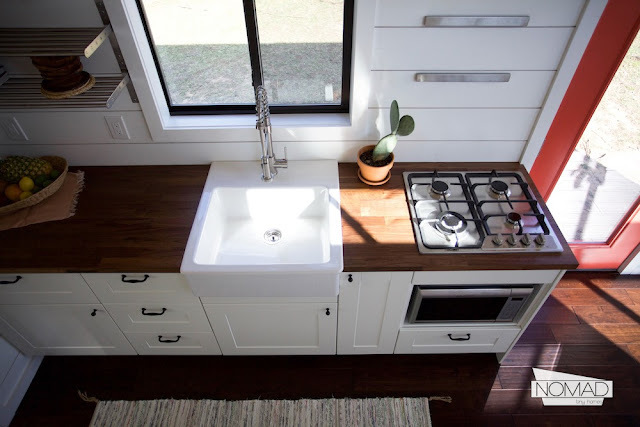 The kitchen comes with butcher block countertops, a farmhouse sink, a four-burner propane cooktop, a connection microwave, and hidden kick-toe storage under the counters. 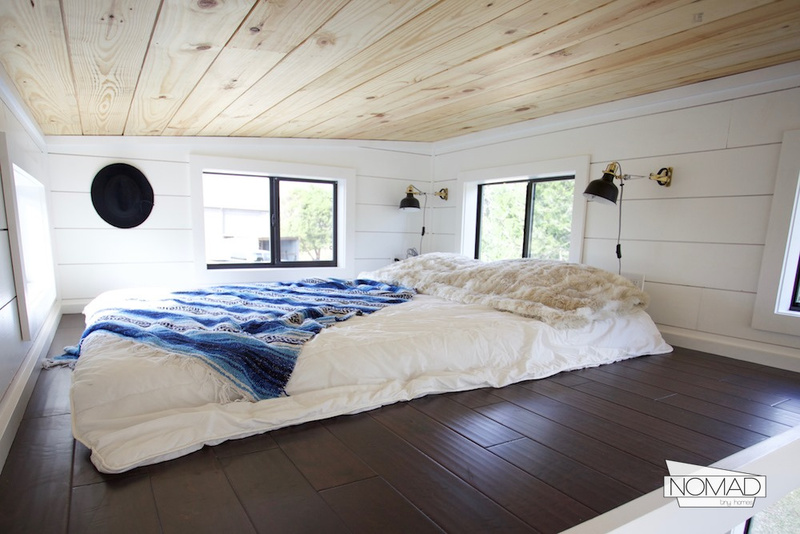 The bedroom is accessible by stairs with built-in storage and gas pipe railings. 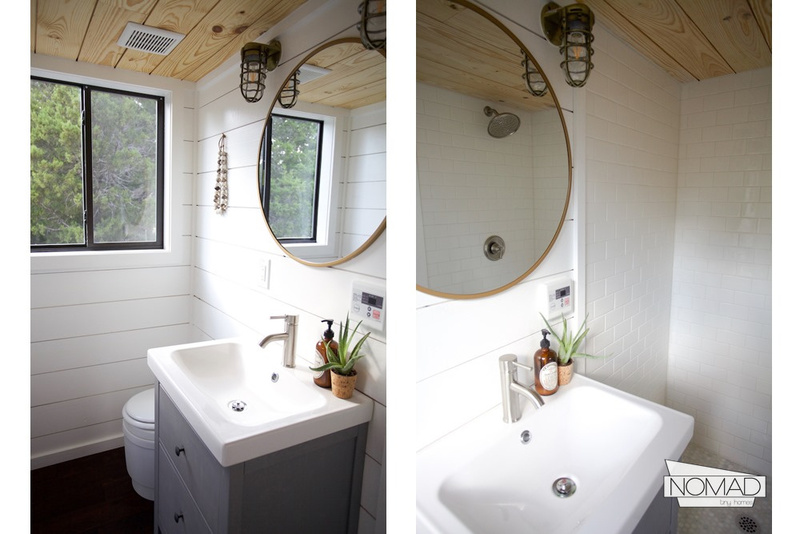 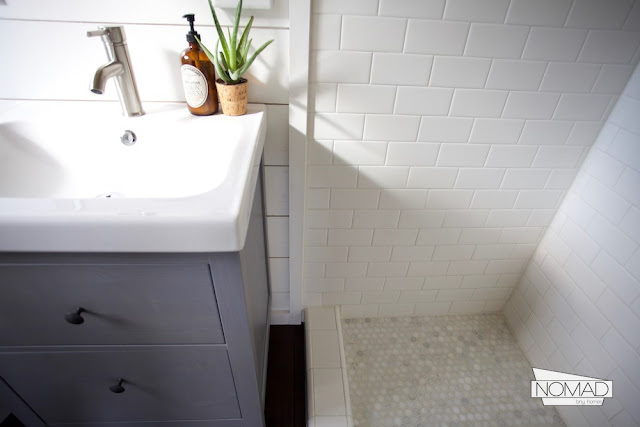 There's also a bathroom with a dry-flush toilet, and a shower with subway tiling and a marble mosaic floor. 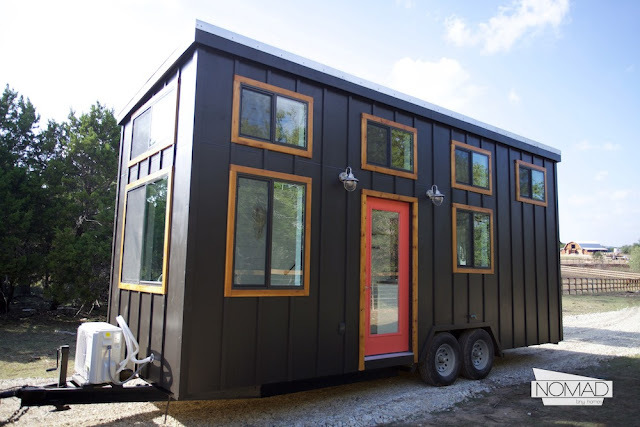 The price for the home, as shown, is $53,000. For more information and/or inquiries, contact Nomad Tiny Homes here!